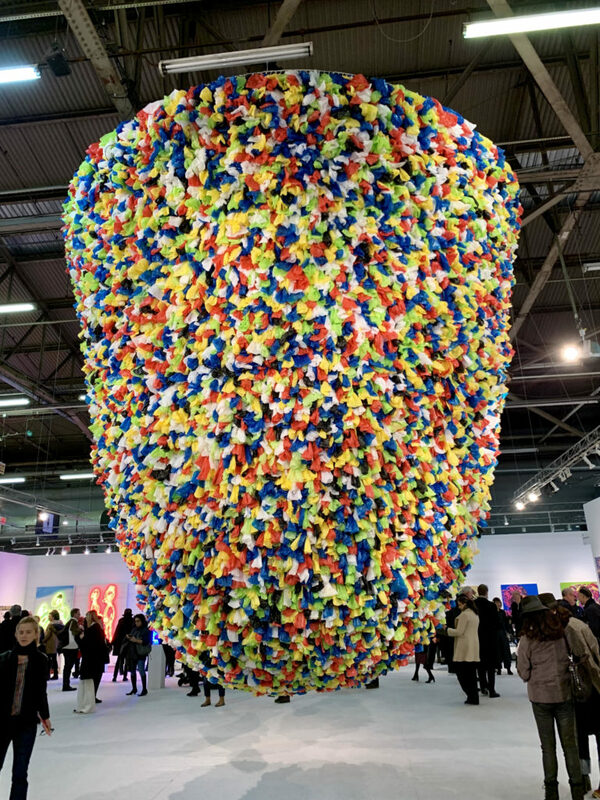 Ever since the beginning of the 1990’s and his participation in Documenta 11 (2002) in Kassel and at the Venice Biennale (2005 and 2009), Pascale Marthine Tayou has been known to a broad international public. 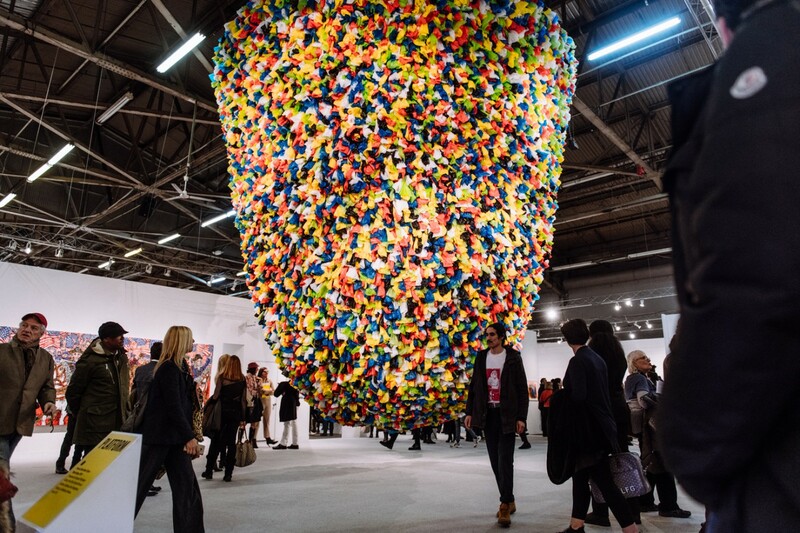 His work is characterized by its variability, since he confines himself in his artistic work neither to one medium nor to a particular set of issues. While his themes may be various, they all use the artist himself as a person as their point of departure. 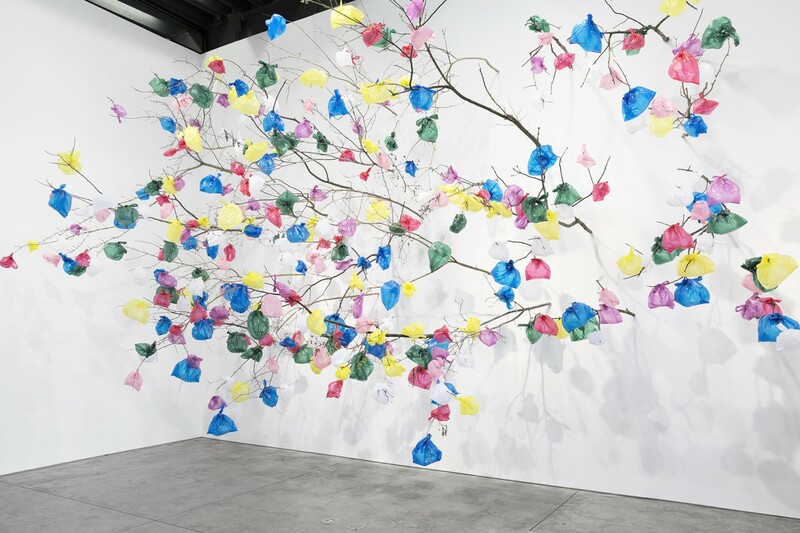 Already at the very outset of his career, Pascale Marthine Tayou added an “e” to his first and middle name to give them a feminine ending, thus distancing himself ironically from the importance of artistic authorship and male/female ascriptions. This holds for any reduction to a specific geographical or cultural origin as well. His works not only mediate in this sense between cultures, or set man and nature in ambivalent relations to each other, but are produced in the knowledge that they are social, cultural, or political constructions. 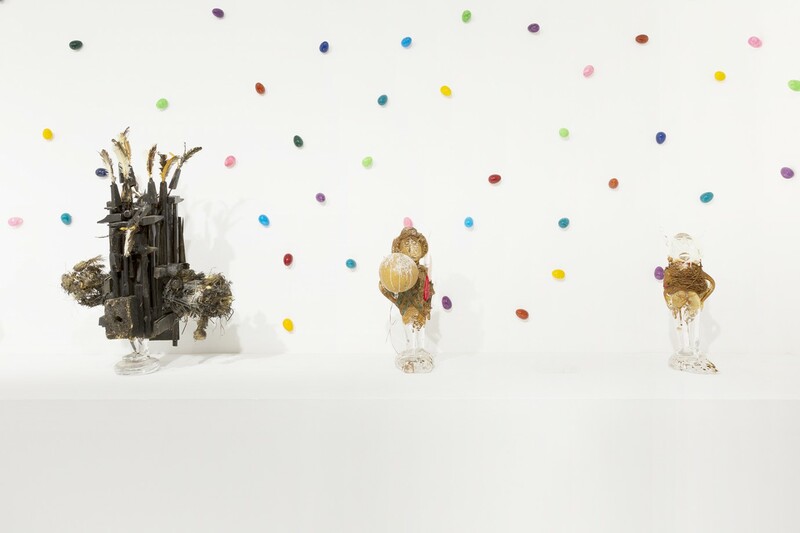 His work is deliberately mobile, elusive of pre-established schema, heterogeneous. It is always closely linked to the idea of travel and of coming into contact with what is other to self, and is so spontaneous that it almost seems casual. 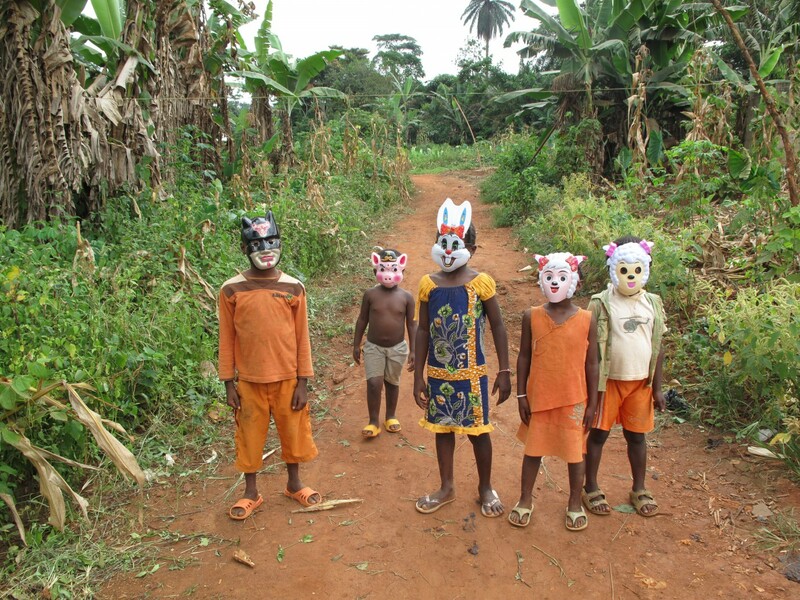 The objects, sculptures, installations, drawings and videos produced by Tayou have a recurrent feature in common: they dwell upon an individual moving through the world and exploring the issue of the global village. And it is in this context that Tayou negociates his African origins – he was born in Nkongsamba, Cameroon, in 1966 – and related expectations. 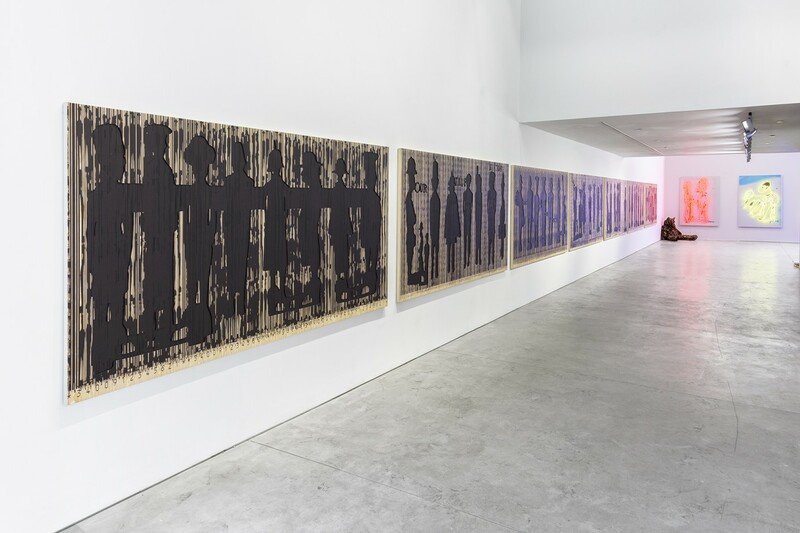 Tayou has contributed to a number of major international exhibitions and art events, such as Documenta 11 (2002), Triennial of Turin (2008), Tate Modern (2009), the Biennials of Kwangju (1997 and 1999), Santa Fe (1997), Sydney (1997), La Havane (1997 and 2006), Liverpool (1999), Berlin (2001), Sao Paulo (2002), Munster (2003), Istanbul (2003), Lyon (2000 and 2005), Venice (2005 and 2009) and has shown his work in museums around the world. He had solo shows at the MACRO (Rome, 2004 and 2013), S.M.A.K. (Ghent, Belgium, 2004), MARTa Herford (Herford, Germany, 2005), Milton Keynes Gallery (Milton Keynes, UK, 2007), Malmö Konsthall (Malmö, Sweden, 2010), Mudam (Luxembourg, 2011), La Villette (Paris, France, 2012), KUB (Bregenz, Austria, 2014), Fowler Museum (Los Angeles, USA, 2014), the Serpentine Sackler Gallery (London, England, 2015), Bozar (Brussels, London, 2015), Musée de l’Homme (Paris, 2015) and CAC Malaga (Spain, 2016). 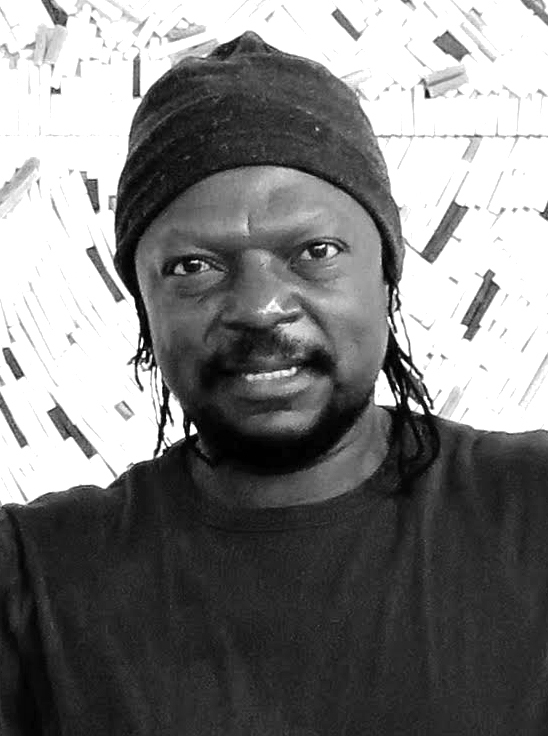 He will be featured in the upcoming, Kampala Art Biennale, KAB18 in Kampala, Ouganda, as well as the Biennale de Dakar, Dak’art, in Dakar, Senegal. 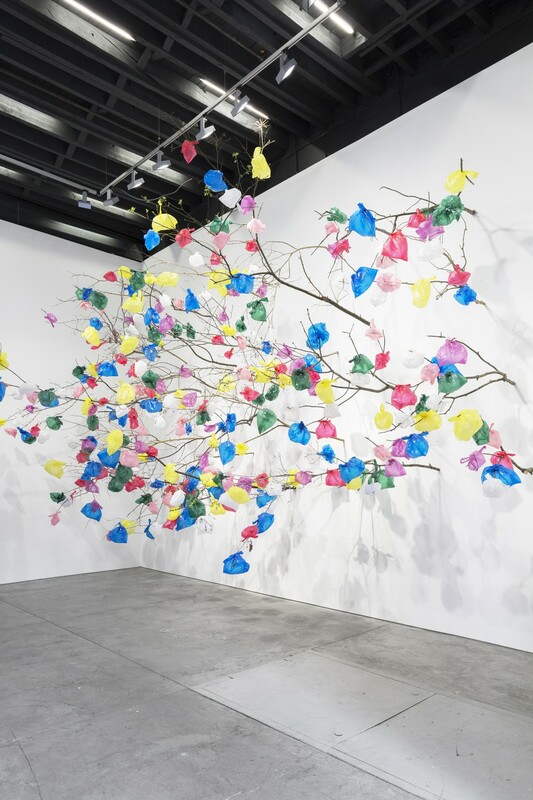 Katy Donoghue On view this summer at Richard Taittinger Gallery in New York is a large survey of Pascale Marthine Tayou, entitled “Colorful Line.” Curated by Jérôme Sans, it is the most comprehensive exhibition of the artist’s work in the U.S. to date….